It is absolutely certain that Michel Bréal, who had the idea of establishing a new Olympic sport, the marathon, in 1896, could never have imagined that he would become the creator of an international movement of runners with millions of fans all over the world. 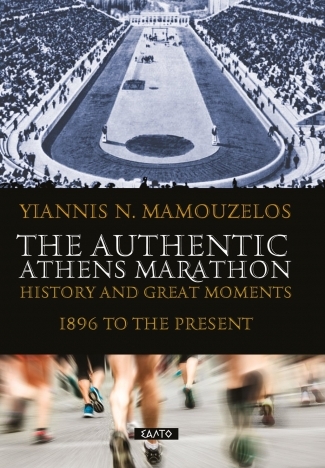 It is unlikely that all those (Greeks or foreigners) who dared to run the inhuman (as it was described) distance of 40 km or a little more at the turn of the 20th century had conceived that their footsteps would be followed with amazing passion and enthusiasm in our time by men and women of all ages. It is, however, certain that to run the 42,195 meters from Marathon to the Panathenaic Stadium is a must, a lifelong athletic dream for all runners. They feel that they are running the authentic marathon race, on the road of history, legends, ideas, with its messages of sports and life. The Athens Marathon is not just something outstanding for a Greek athlete, fan, journalist, researcher, or simple observer. Without any chauvinism, one can feel how unique it is almost on the same exact course, this race was born in 1896; this place (Marathon) gave it its name, and the same starting point, finish line, and untouched shape for almost 120 years! Personally, having experienced firsthand from a young age all the pictures, emotions, and reactions of runners on the authentic course, I felt the need to write the chronicle of the Athens Marathon. I did not imagine, however, that I would reach my third book on this subject, and indeed, one in English (translated from an original Greek text). The book THE AUTHENTIC ATHENS MARATHON: History and Great Moments 1896 to the Present (in an aesthetically appealing publication approximately 180 pages long, with extensive photographic and documentary material) came from my wholehearted desire that foreigners (thousands run in Athens every year and millions receive information from the media) become acquainted with the race of one of the world s most historic cities. Legends, perplexities, uncertainties, misinterpretations, as well as confusion about the starting point, the route, the distance, the roads, the events, and more surrounding the earliest or later races are interspersed throughout many Greek and foreign texts. And since Oscar Wilde remarked that our only duty towards history is to rewrite it, I hope that what I have written will put everything in order. History is separated from myth, facts from conjecture, deliberate or coincidental misinterpretations from reality. 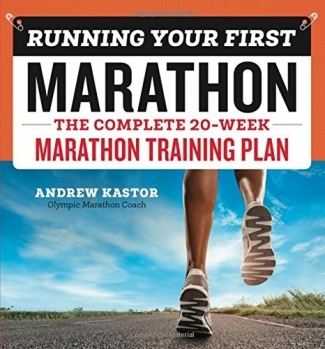 Thus, every foreigner will be able to learn whatever he or she wants and should know about the authentic marathon, through the pages of this book. The reader will not only get to know the protagonists, the events, the performances, the lay of the land, and the history of the areas and the countries that it crosses, but will also understand why this marathon has no equal on Earth. This book is an historical chronicle that reads like a novel, without anything embellishments from the author’s imagination. The reader will feel like the viewer of the sequel to a movie from another time with someone repeating the achievement of the ancient messenger, in his own unique effort, not on the carriage path of 1896, but in a race with high standards and worldwide recognition. 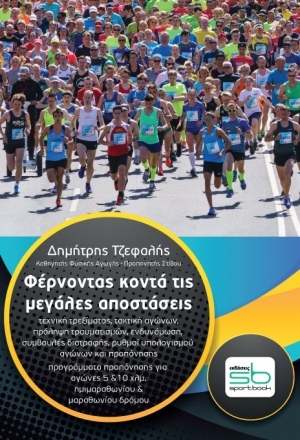 The Athens Marathon, which comes alive colorfully in my book, is not just an important annual sports event. It also possesses aspects related to tourism, culture, the economy and society that no one should overlook.